GLENDALE, Calif., Nov. 9, 2017 /PRNewswire/ -- Applebee's Neighborhood Grill + Bar®, in a move that positions the brand for a return to profitable growth and long-term success, has promoted Kevin Carroll, a restaurant operator with nearly three decades of experience, to senior vice president, chief operations officer, reporting directly to John Cywinski, president, Applebee's. Carroll joined Applebee's in June 2017 as vice president of operations, and brings a deep understanding of the complexities of restaurant operations to the Applebee's brand and will focus on building a vibrant operating culture of accountability. Applebee's also announced a new franchise development agreement, and the addition of two new franchisees, strengthening the brand's presence in the states of Utah and Alaska. Both franchisee teams, Apple Mountain and Apple North, are spearheaded by industry veterans with skilled and successful operational backgrounds in the restaurant industry, and both groups are dedicated to working with their fellow franchisees and Applebee's to contribute to the future success of the brand. These new additions are rooted in a comprehensive and franchisee-supported turnaround strategy to reignite interest in Applebee's as a favored neighborhood destination. "Kevin is an exceptional leader and operator who understands what it takes to achieve operational excellence," said Cywinski. "He shares our passion for our guests and our strong belief in culture, franchisee collaboration, and accountability. I know him well and am pleased to be promoting him to this role." Prior to joining Applebee's, Carroll spent a successful 27-year career with the Chili's brand, where he rose through the ranks and spent 14 years as a senior vice president leading more than 400 company-owned restaurants until joining Applebee's this year. He holds an associate degree in hotel and restaurant management from Paul Smith's College and a bachelor's degree in hotel and restaurant management from the University of South Carolina. 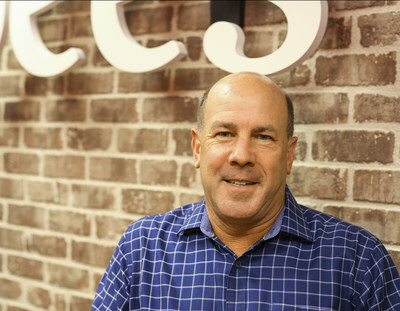 Carroll started his restaurant career as an Applebee's general manager in Nashville, and the brand is excited to see his story come full circle as he takes on this larger role with the casual dining restaurant leader. Applebee's Neighborhood Grill + Bar offers a lively casual dining experience combining simple, craveable American fare, classic drinks and local drafts. All Applebee's restaurants are owned and operated by entrepreneurs dedicated to serving their communities and offering quality food and drinks with genuine, neighborly service. Applebee's is one of the world's largest casual dining brands; as of June 30, 2017, there are nearly 2,000 Applebee's franchise restaurants in the United States, Puerto Rico, Guam and 14 other countries. Applebee's is franchised by subsidiaries of DineEquity, Inc. [NYSE: DIN], which is one of the world's largest full-service restaurant companies. Statements contained in this press release may constitute forward-looking statements within the meaning of the Private Securities Litigation Reform Act of 1995. You can identify these forward-looking statements by words such as "may," "will," "should," "could," "expect," "anticipate," "believe," "estimate," "intend," "plan" and other similar expressions. These statements involve known and unknown risks, uncertainties and other factors, which may cause actual results to be materially different from those expressed or implied in such statements. These factors include, but are not limited to: the effect of general economic conditions; DineEquity, Inc. (the "Company")'s indebtedness; risk of future impairment charges; trading volatility and the price of the Company's common stock; the Company's results in any given period differing from guidance provided to the public; the highly competitive nature of the restaurant business; the Company's business strategy failing to achieve anticipated results; risks associated with the restaurant industry; risks associated with locations of current and future restaurants; rising costs for food commodities and utilities; shortages or interruptions in the supply or delivery of food; ineffective marketing and guest relationship initiatives and use of social media; changing health or dietary preferences; our engagement in business in foreign markets; harm to our brands' reputation; litigation; fourth-party claims with respect to intellectual property assets; environmental liability; liability relating to employees; failure to comply with applicable laws and regulations; failure to effectively implement restaurant development plans; our dependence upon our franchisees; concentration of Applebee's franchised restaurants in a limited number of franchisees; credit risk from IHOP franchisees operating under our previous business model; termination or non-renewal of franchise agreements; franchisees breaching their franchise agreements; insolvency proceedings involving franchisees; changes in the number and quality of franchisees; inability of franchisees to fund capital expenditures; heavy dependence on information technology; the occurrence of cyber incidents or a deficiency in our cybersecurity; failure to execute on a business continuity plan; inability to attract and retain talented employees; risks associated with retail brand initiatives; failure of our internal controls; and other factors discussed from time to time in the Company's Annual and Quarterly Reports on Forms 10-K and 10-Q and in the Company's other filings with the Securities and Exchange Commission. The forward-looking statements contained in this release are made as of the date hereof and the Company assumes no obligation to update or supplement any forward-looking statements.